Having problems with your PC or its peripherals? Detect anomalies and update all of your drivers quickly and easily! 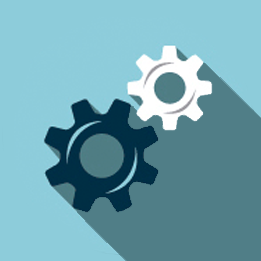 Manufacturers constantly update their products to solve problems or improve performance. 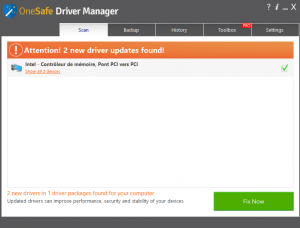 Regular scans of your PC with OneSafe Driver Manager allows all the corrupt drivers on your PC to be found and replaced. Often, the biggest problem faced by users is the upgrade to Windows 10, since their new hardware is not compatible with their new operating system. 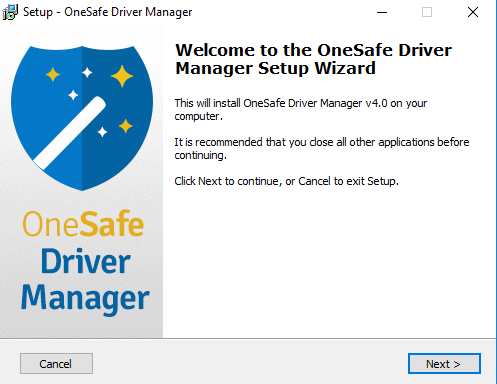 OneSafe Driver Manager fixes this problem by finding the correct drivers and downloading the correct version for Windows 10. 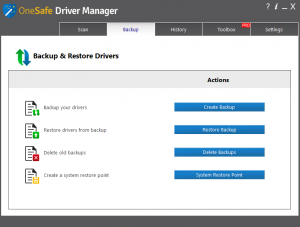 OneSafe Driver Manager has a database of over 1,2 millions drivers. 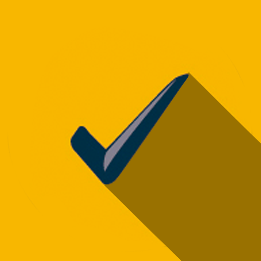 We constantly update and edit the database to ensure that we have the best updates available. 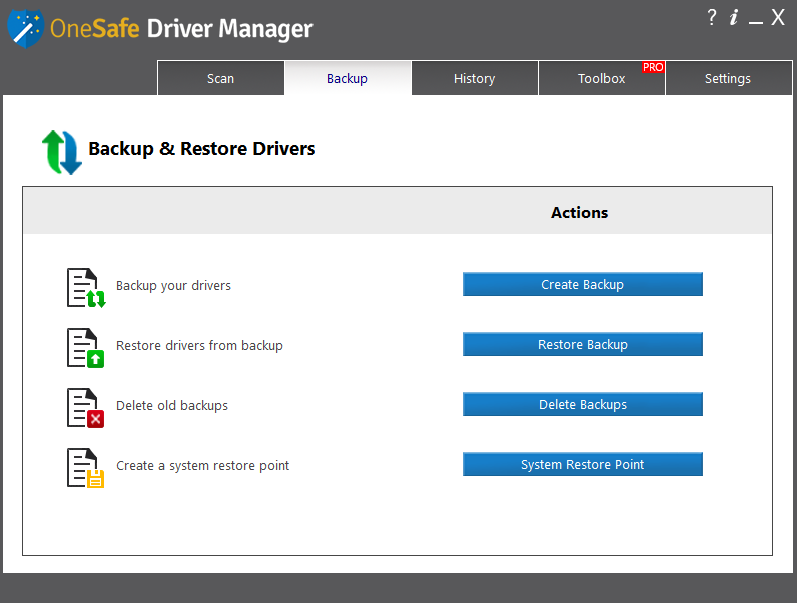 With OneSafe Driver Manager, you will obtain all the most recent updates of the latest drivers for your system. 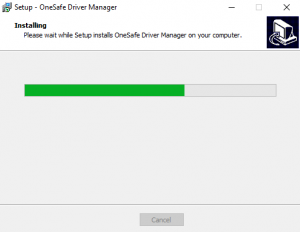 If you upgrade your operating system, OneSafe Driver Manager can back up all the drivers on your PC or laptop, by compressing them into a zip file which is easy to export and reinstall. 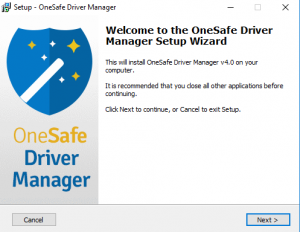 OneSafe Driver Manager's backup and reinstallation features save you hours of searching and installing individual device drivers. Just configure the scheduler to automatically run a scan at startup or on a daily, weekly or monthly basis. 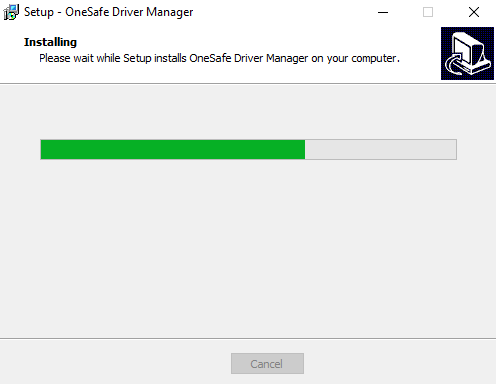 OneSafe Driver Manager lets you know when new driver updates are available for your system so that you are always up to date. Benefit from the additional features of OneSafe Driver Manager PRO! Your computer takes forever to open Windows? Startup and shutdown times can be improved dramatically when just a few programs are deleted from the "Start" menu. 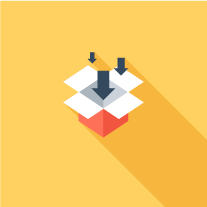 The Startup Manager facilitates the identification and deletion of unnecessary programs. By using the Startup Manager, you can quickly identify the programs you need at start up and easily delete programs you do not need. When programs are uninstalled using the Windows Control Panel or an application integrated into the uninstallation program, they often leave the remaining files behind. 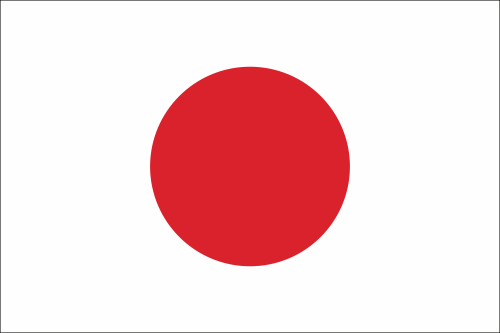 You can use the uninstallation program toclean and uninstall programs, extensions and toolbars. The uninstallation program automatically detects and deletes all the remaining items. Avoid being stuck with programs that clutter your computer. 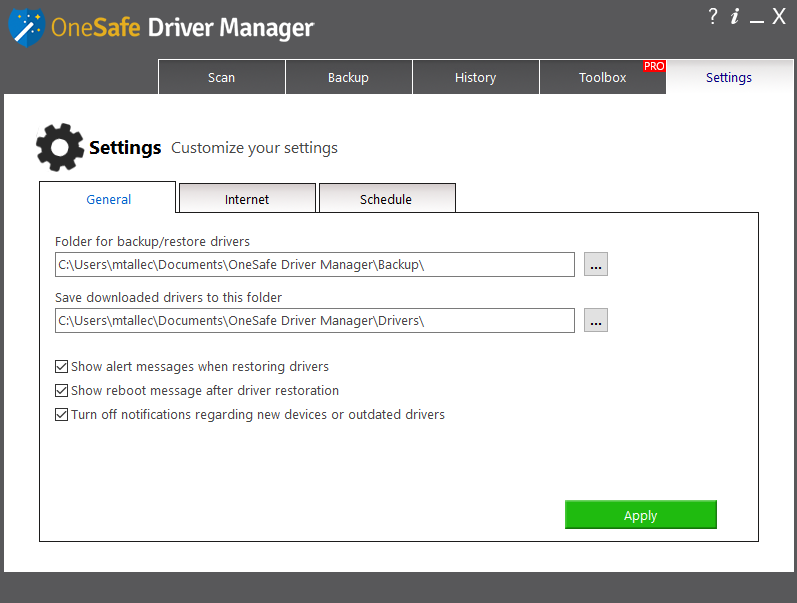 Clean and uninstall unneeded programs, extensions and toolbars with this OneSafe Driver Manager Pro feature. When you install a device driver on your computer, the files are sometimes placed in a temporary directory named "Driver cache". 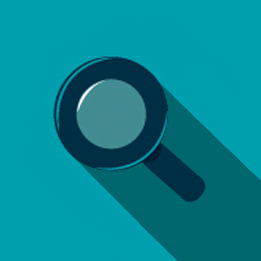 Once a driver has been successfully installed, there is no reason to keep these cache files. 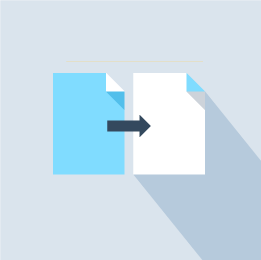 The cache cleaner finds and deletes these unnecessary driver cache files to help you retrieve space on your hard drive. 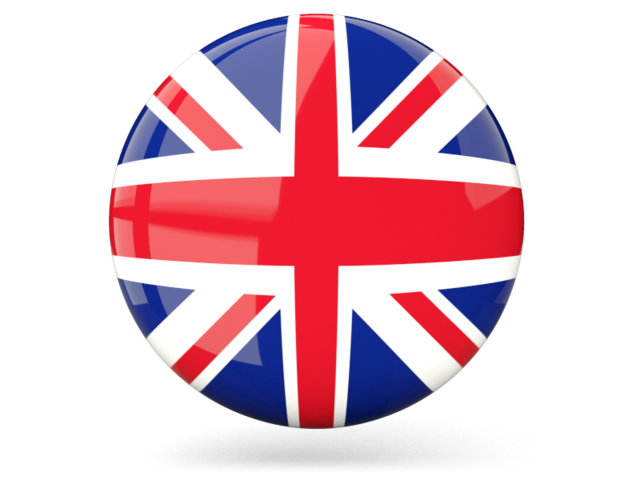 Keep up to date on the problems undermining your PC's performance. 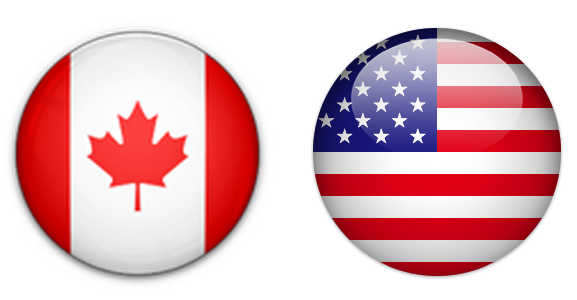 System messages will inform you of installation and uninstallation of new programs, the adding of programs to the start menu and the installation of toolbars and extensions. 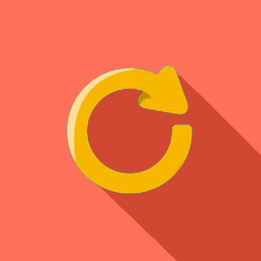 System messages are related to the Startup Manager and uninstall program, which facilitates the deletion of programs you do not want on your system. System messages allow you to keep your computer clean and optimized.